The Bulgarian Association for Rural and Ecological Tourism (BARET) is a national non-governmental organization dedicated to promoting rural and ecological tourism in Bulgaria. We work for the development of rural and ecological tourism in Bulgarian countryside. 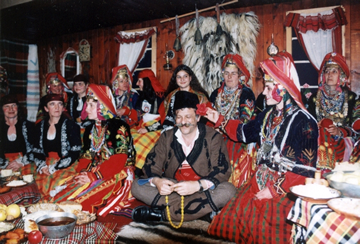 We uphold the preservation of Bulgarian cultural and historical heritage, and contribute to the revival of rural areas. We develop programs for the development of rural and ecological tourism in regions all over the country, that have the necessary potential. We promote nature protection, environmentally-safe industries and ecology education. We provide a meeting point for scientists and scholars working on ecotourism projects. 2008 IZMdesign. Template by Aran Down.